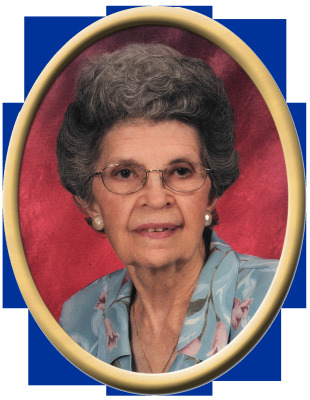 Evelyn Zelma Parsons Butler, age 93 of New Hope, AL passed away peacefully January 16, 2019. She was preceded in death by parents, Glenn & Gertrude Parsons, husband, Albert H. Butler, Jr., and granddaughter Alexis Belancsik. Survivors are daughters, Nancy (Terry) Ross, Carol (Mike) Belancsik, Patricia (Billy) Lawler, brother, Vernon Parsons, 7 grandchildren, 10 great grandchildren, and 1 great, great grandchild. She was a very kind, considerate, and loving wife, mother, mother-in-law, grandmother, sister, friend & teacher and will be dearly missed by all those who loved her. For many years, she was a very active member of the New Hope United Methodist Church. Her teaching career began at Old Rison School and ended at New Hope School teaching middle school Science and Home Economics until retirement. We would like to sincerely thank Amy, Ann, Diane, Patty and Wilma for all their love and support as her caregivers as well as Lloyd and Terry for their continued support throughout the years. In lieu of flowers, donations may be made in her memory to the New Hope United Methodist Church (Community Building fund), 5351 Main Street, New Hope, Al 35760 or to a favorite charity. Pallbearers will be Wesley, Eli, Jared & Bryant Lawler, Peter Belancsik, Cameron & Ethan Graack, and Matt Blankenship. Visitation will be Sunday, January 27th from 12:00 - 2:00 PM with service at 2:00 PM at New Hope Funeral Home Chapel with Pastor Michael Carpenter officiating. Music will be provided by Hobbs Island Church Praise band. "Email Address" would like to share the life celebration of Evelyn P. Butler. Click on the "link" to go to share a favorite memory or leave a condolence message for the family.